Children in KS2 will learn to understand and apply the principles of a healthy and varied diet. They will also prepare and cook a variety of predominantly savoury dishes using a range of cooking techniques. They will also know where and how a variety of ingredients are grown. 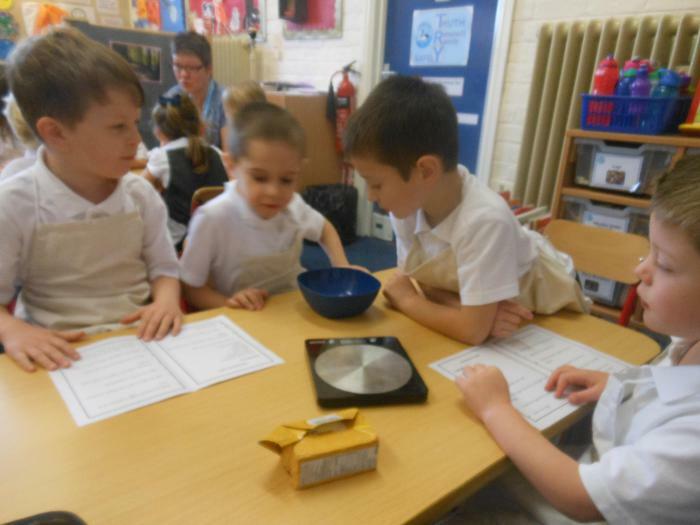 Children in Year 1 worked in small groups to read and follow the instructions to make Christmas cakes. Even our youngest children in school also made individual Christmas cakes. 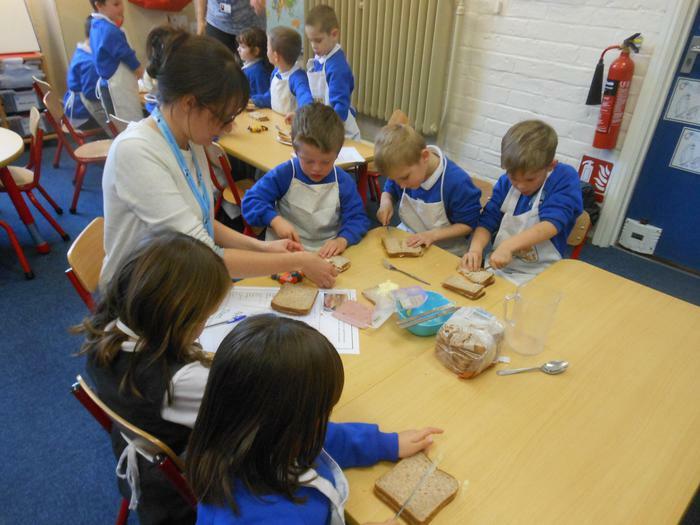 They also learnt how to make sandwiches (cheese, ham and tuna). We then cut the sandwiches in 1/2 and 1/4s which linked with our maths learning. 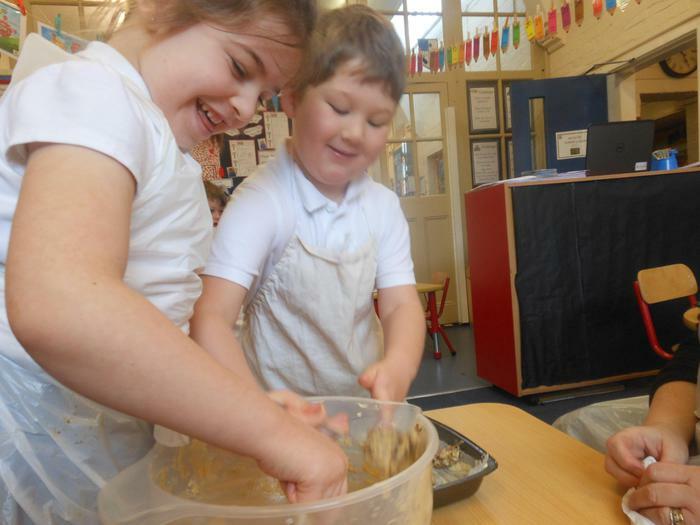 Children in Dormice class worked together to make bread just like the Little Red Hen. 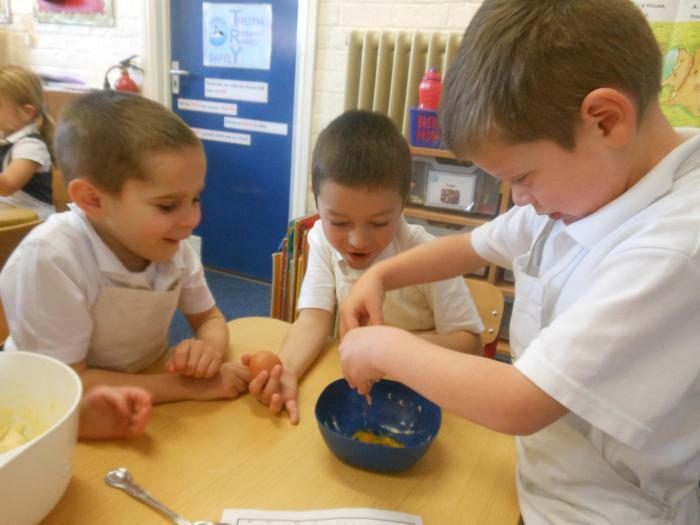 They also made their butter using cream and lots and lots and lost of shaking. Making delicious Coronation Chicken Picnic Pies fit for the Queen. Making savoury scones - either cheese and sweetcorn, ham and cheese and chives. To celebrate a special Royal occasion, the children made mini scones ready for our tea party. 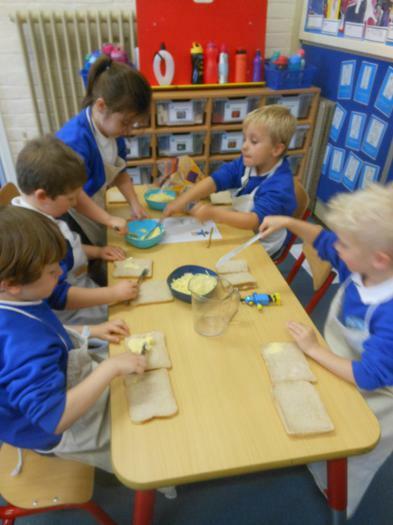 On another occasion, KS1 children made a variety of savoury scones including tomato and herb, cheese and sweetcorn as well as cheese and chives. As part of a Science experiment who shared our thoughts and ideas about what might happen to the chocolate if we put it in a warm place. Children in KS2 prepared and tasted some Indian food including cucumber raita, poppadoms and mango chutney. To make vegetable samosas, they carefully chopped, peeled and mixed the vegetables, then wrapped them in filo pastry.